House of Vans brings presents their Almost Summer Series. This June 13th event will headline Pusha T and have special guests. Dj Envy will be on the turntables. RSVP for this one will open up on June 4th at 12noon. 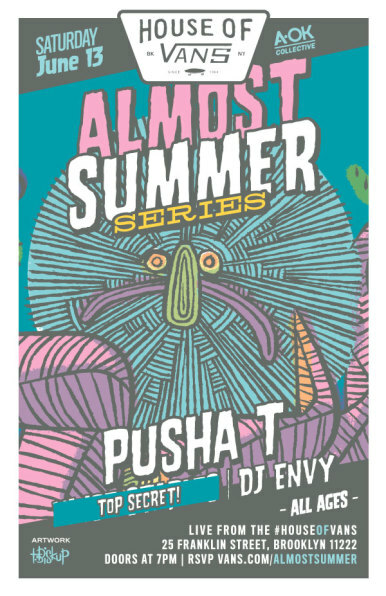 Tags: DJ Envy, House of Vans, Music, Pusha T. Bookmark the permalink.